Trolls Skimpa and Blompa want to take good care of the fairies' garden while the fairies are away. But it's hard to fit their television, toaster and furniture without moving the big tree. Can the trolls learn to go green? Please join Margaret for a lively show at Arlington Center for the Arts on Saturday, March 3rd at 2 pm. 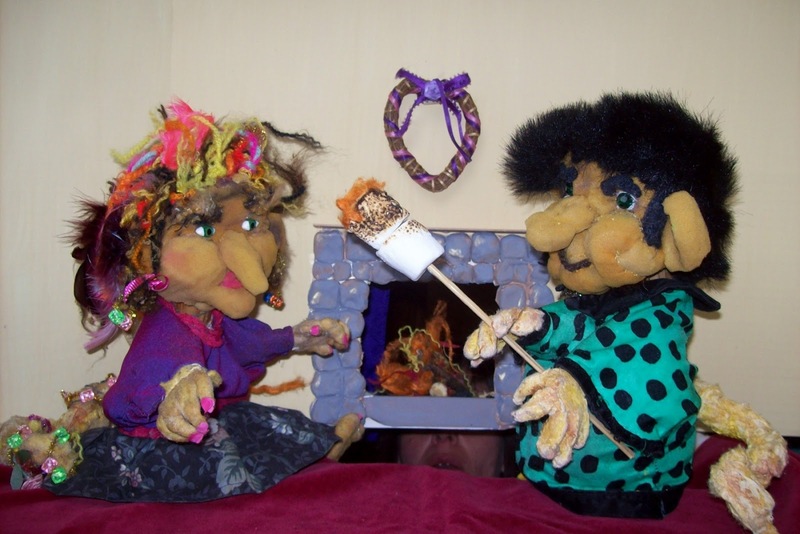 It's the last show in this year's Puppets at ACA series. We hope you'll stay for puppet-making, puppet-play, and coffee afterwards. Tickets are $5 at the door. I can take reservations via e-mail to galapagospuppets@gmail.com.